This book utilizes theories concerning modes of symbolic expression, formation and maintenance of social group identities, and the role of individual creativity and innovation, to analyze the past creation and use of material expressions of core symbols within the diasporas of European and African cultures, such as the BaKongo, Yoruba, Fon, and Palatine German, among others. I explore the divergent ways these creative processes played out at sites in North America, the Caribbean, and South America. Finding shortfalls in the current uses of creolization concepts, I define a concept of "ethnogenic bricolage" as a process involved in these cultural developments in locations of the New World. I also examine beliefs and practices among European Americans in the eighteenth and nineteenth centuries, principally from archaeology sites in the United States, and the ways that forms of instrumental symbolism reflected in artifacts from those sites were shaped by dynamics similar to those seen in African diasporas. These independently developed beliefs and practices from Europe and Africa came to meet at "crossroads" of the New World. This book, which includes a Foreword by Robert Farris Thompson, is available from the University Press of Florida, Amazon, and Barnes & Noble. The Council for Graduate Schools selected Crossroads and Cosmologies for the Arlt award for "an outstanding contribution to scholarship in the humanities." The Society for Historical Archaeology selected the author as recipient of this award based on the Crossroads and Cosmologies book as a scholarly "achievement which is truly outstanding." "Exploring how belief systems change over time, what is emphasized here is how behaviors reflect not simply older, static belief systems transplanted from unspecified African cultures, but a detailed model of how new dynamic symbolic systems are created, depending on context and multiple lines of evidence. . . . In examining this process -- 'ethnogenic bricolage' -- both professors and students of anthropology and beyond may find themselves exploring old and new archaeological sites with a different set of eyes, looking at items of religious and ritual significance in new ways." Historical Archaeology 44(2): 158-159 (2010). An "excellent achievement" in which the concept of "ethnogenic bricolage, is presented as a more complex frame than creolization for capturing the particulars of cultural change." Southeastern Archaeology 27(2): 294-95 (Winter 2008). Crossroads "presents archaeologists, anthropologists, and other scholars with a powerful interpretative framework within which to posit how new cultural identities were formed from the interactions of different cultural groups. . . . This study will have wide application, not only for African diaspora studies, but for any research that addresses the processes of cultural creativity and innovation." Journal of Middle Atlantic Archaeology 25: 166-67 (2009). Crossroads and Cosmologies "places archaeology squarely in the realm of anthropology. Fennell not only emphasizes the need for archaeology to be anthropology but he also demonstrates the important contribution that archaeology makes to anthropology. In fact, the volume appears written for an audience of archaeologists as well as anthropologists in that it coherently explains the connections between archaeology and anthropology in such a way as to pierce the bias and jargon that creates artificial distance between archaeologists and other anthropologists. . . . In reemphasizing the place of archaeology within anthropology, Fennell makes a strong argument for an analysis that cross cuts artificial disciplinary boundaries to more holistically study diasporas through the lens of ethnogenesis, or, as Fennell labels this process, 'ethnogenic bricolage.'" African Diaspora Archaeology Newsletter (December 2008). "A useful review of the existence and variety of symbols derived from African religions as found in New World settings. Although short, it can serve both in course materials and for an archaeologist finding him or herself with artifacts that may represent such symbols. It also offers some provocative insights into the theory of cultural mixture within African-descended peoples." Journal of Anthropological Research 65(1): 159-160 (2009). 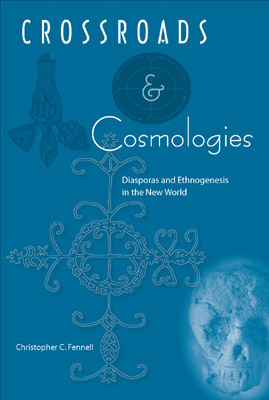 "Crossroads and Cosmologies is appealing because it transcends classic dichotomies in archaeological research (e.g., function and meaning) while considering alternative explanations. . . . Fennell's in-depth exploration of Bakongo history and careful consideration of transcontinental processes of sociocultural movement and interchanges provide a good model for scholars interested in cultural transfer and modification in the Americas." American Antiquity 74(3): 584-585 (2009). "An intriguing analysis of religious artifacts that provides an innovative conceptual framework and methodology for the archaeological study of diasporas. It greatly advances our understanding of cultural creativity over simplistic notions of creolization." -- Theresa Singleton, Syracuse University. "A far-reaching anthropological study of African and African American religions, German American folkways, and archaeological methodology." -- Leland Ferguson, University of South Carolina. "The notion of 'emblematic' vs. 'instrumental' symbolism provides an exciting new model for analyzing material culture and its meanings for the people who produced it and used it." -- Anna Sophia Agbe-Davies, DePaul University. Christopher Fennell offers a fresh perspective on ways that the earliest enslaved Africans preserved vital aspects of their traditions and identities in the New World. He also explores similar developments among European immigrants and the interactions of both groups with Native Americans. Focusing on extant artifacts left by displaced Africans, Fennell finds that material culture and religious ritual contributed to a variety of modes of survival in mainland North America as well as in the Caribbean and Brazil. Over time, new symbols of culture led to further changes in individual customs and beliefs as well as the creation of new social groups and new expressions of identity. Presenting insights from archaeology, history, and symbolic anthropology, this book traces the dynamic legacy of the trans-Atlantic diasporas over four centuries, and it challenges existing concepts of creolization and cultural retention. In the process, it examines some of the major cultural belief systems of west and west central Africa, specific symbols of the BaKongo and Yoruba cosmologies, development of prominent African-American religious expressions in the Americas, and the Christian and non-Christian spiritual traditions of German-speaking immigrants from central Europe. Chapters include: 1. Introduction: Diasporas, Histories, and Heritage. 2. From the Diminutive to the Transatlantic. 3. Shared Meanings and Culture Dynamics; Core Symbols across a Continuum; A Core Symbol of the Bakongo Culture; Marking Social Group Contours; Expressions of Group Identity and Individual Purpose. 4. A Model for Diaspora Analysis; Interpreting Cultural Expressions through Ethnohistorical Analogy; Bakongo Culture in West Central Africa. 5. African Diasporas and Symbolism in the New World; Private Rituals in North America; Yoruba and Bakongo Dynamics in Cuba; Innovation of New Emblems in Haiti and Brazil; Afro-Christian Dynamics in North America. 6. European Diasporas and the Persistence of Magic; From the Palatinate to Virginia; Hexerei Practices among German Americans; Social Networks and Interpersonal Conflicts; Expressions Instrumental and Emblematic. 7. Creolization, Hybridity, and Ethnogenic Bricolage. About the author: I am an anthropologist specializing in historical archaeology as an Associate Professor of Anthropology and Law at the University of Illinois at Urbana-Champaign, and a faculty affiliate of the Department of Landscape Architecture, College of Law, Center for African Studies, and the Department of African American Studies. I also serve as a Visiting Professor of Law at the University of Chicago Law School, teaching seminars on the intersections of racism, law, and the social sciences. 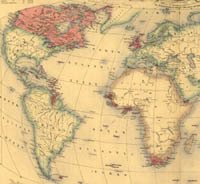 My empirical research addresses subjects in trans-Atlantic historical archaeology and the dynamics of social group affiliations and lifeways among Europeans, Africans, and various social groups within the Americas. These research initiatives include interpretative frameworks focusing on social group identities, ethnic group dynamics and racialization, diaspora studies, regional systems and commodity chains, stylistic and symbolic elements of material culture, consumption patterns, and analysis of craft and industrial enterprises. I am also the founding editor of the Journal of African Diaspora Archaeology and Heritage, publisher and past editor of the African Diaspora Archaeology Newsletter, member of the editorial board of the International Journal of Historical Archaeology, past member of the board of directors of the Society for Historical Archaeology, and president elect of the Illinois Archaeological Survey. A list of my publications, including other books, research papers, other works in progress, and course offerings is provided in my resume.